A & I Importers are the sole importers and distributors for Phytomer products in South Africa. With over 40 years as the leader in marine skincare, Phytomer is a pioneer in the field of marine biotechnology, the future of results-oriented cosmetics. This is the newest technology to create innovative, 100% natural skincare ingredients. Based in Saint-Malo, France, and distributed in 70 countries worldwide, Phytomer has a reputation of leadership and expertise within the spa industry. Their products combine science with the natural powers of the sea. 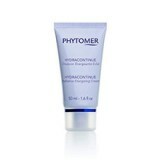 Phytomer ultimately creates cutting- edge professional treatments to deliver remarkable results. As the uncontested expert in marine-based cosmetology, Phytomer products are available at beauty institutions, spas, and resorts.